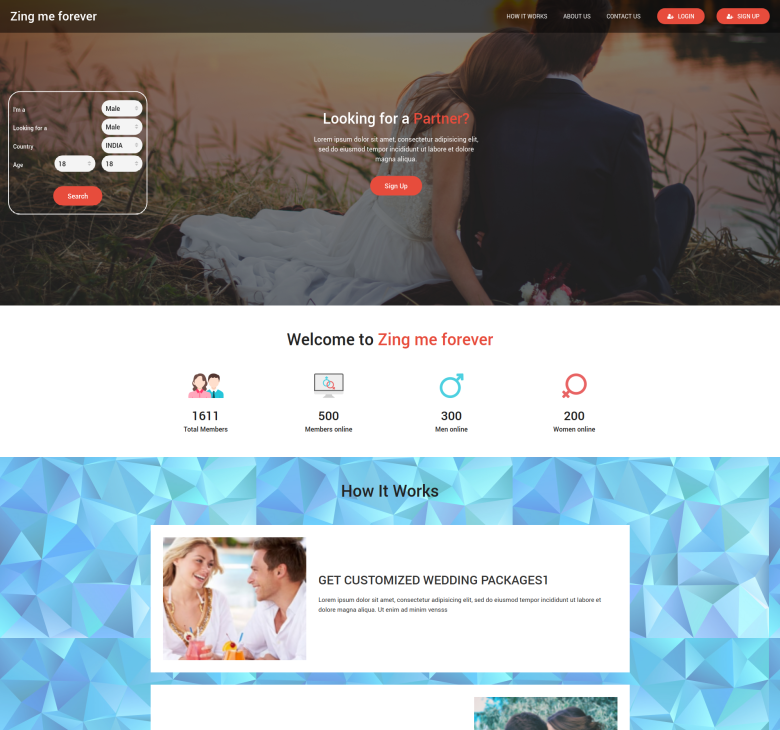 Zing me forever is a combination of dating and matrimonial website. It starts with finding profile, dating and lead to marriage. With the help of advance services life restaurant reservation, verification, date traching, all cart menu for marriage package and more.